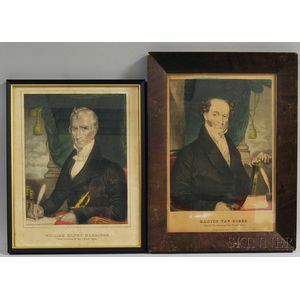 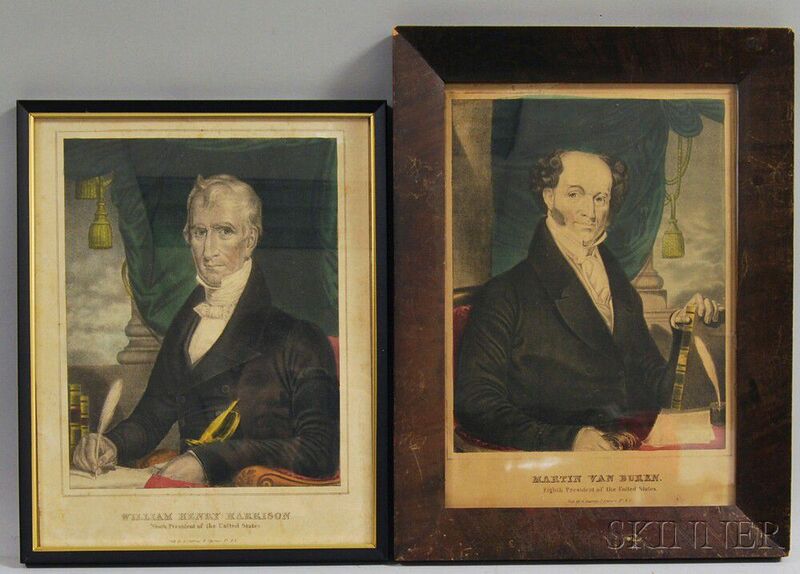 Two Framed Currier Hand-colored Engravings of Martin Van Buren and William Henry Harrison, lg. to 17, wd. to 13 in.